As promised, here is a picture of the whole crew! 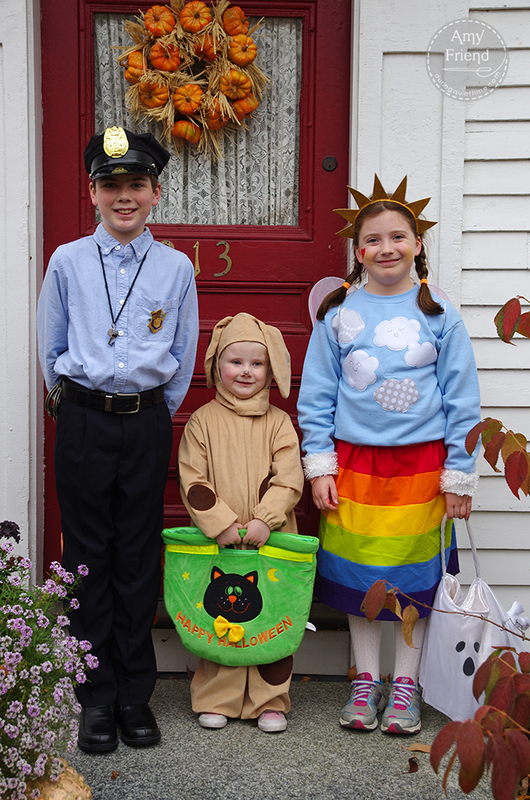 We have a police officer, a puppy dog and a rainbow (turned rainbow fairy with the addition of wings at the last moment). Happy Halloween!